A relatively new cat breed the Bengal cat was first bred in North America. This royal looking cat breed was initially created by cross breeding a domestic cat with an Asian Leopard cat. The Bengal cat derives its name from its wild relative, Felis Bengalensis the Latin name for the Asian Leopard cat. The overall appearance of the Bengal cat consists of a mix of features of both these species. The genetic makeup is very much of the Asian Leopard, while the temperament is similar to that of the domestic cat. The main purpose of creating this beautiful and regal cat breed was to preserve the strong physicality of its wild ancestor as well as have the gentle and trustworthy characteristic of a domestic feline. 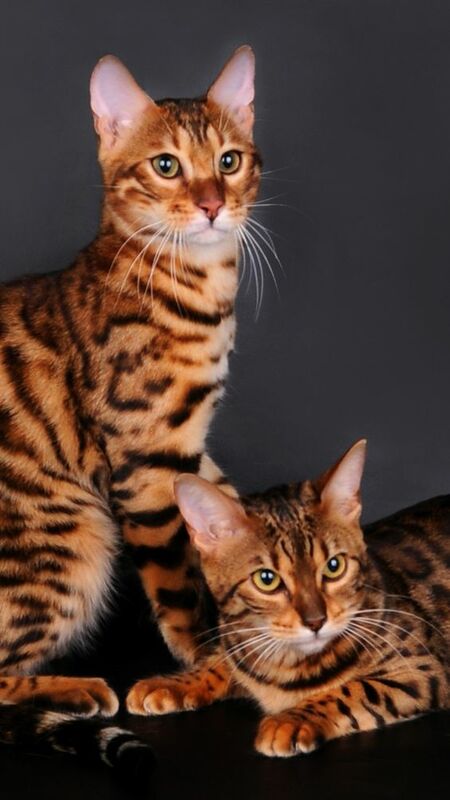 The Bengal has the golden glittering pattern, which no other cat breed displays. We humans are always fascinated by felines that appear and possess characteristics of a wild cat that we all see in the jungles. The Bengal is a hybrid cat created by humans by crossbreeding the domestic feline with the Asian leopard cat. The Asian Leopard cat is found in South Asia and is very closest to the undomesticated and modern cat species and has the ancestry that is similar to the cat family. Except for the large eyes, prominent whisker pads, long legs, and of course the brilliant patterns that remind you of the leopard, the Bengal cat is wholly a domestic cat, but will look like a leopard. It was in the year 1963; Jean Mill crossbred the domestic cat with the Asian Leopard cat a spotted cat from Asia. The purpose of this attempt was to create a hybrid cat breed with the nature of a domestic cat and also possess the attractive and regal appearance of the Leopard and Jaguars. The modern day Bengals have their roots in the cats that were bred by Mill in the early part of 80s. Out of interest Mrs. Mill purchased a female Leopard cat from a store in California and in those times these exotic cats were available on sale in pet stores though it is illegal now. It was her love towards these cat species that made her buy this particular cat and nothing else. After a few years, she put a male domestic cat with her female leopard cat for company and this union resulted in a litter in 1965. Only one kitten survived from the litter. The surviving kitten mated with her father and created two kittens, one of which was black and inherited the temperament of the wild Asian leopard. The other male was spotted with a gentle temperament. Considering the plight of the leopard cats in America she decided to cross breed the breed to help benefit the species. 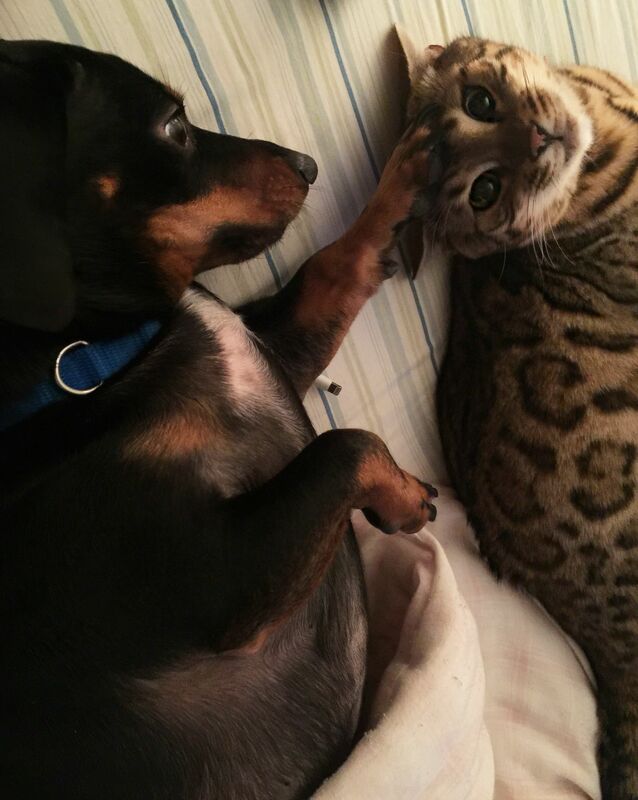 After several breeding and several generations, the resultant Bengal cat had the temperament that was more expected. 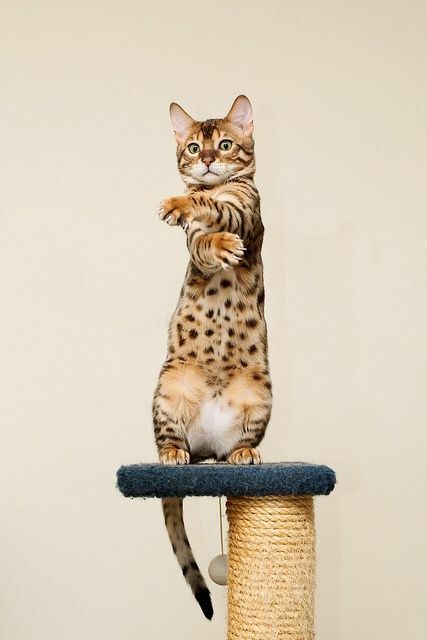 The standards that describe the Bengal cat are great temperament, positive, inquisitive, friendly, and alert. Any signs of changes in these standards in cats are disqualified from the breeding stock. According to TICA the Bengal show cats should be bred with the Bengal cats at least for four generations to achieve the docile temperament. Many cat registries have accepted these cats’ as show cats except CFA, which does not accept any cat breed with a wild cat blood. 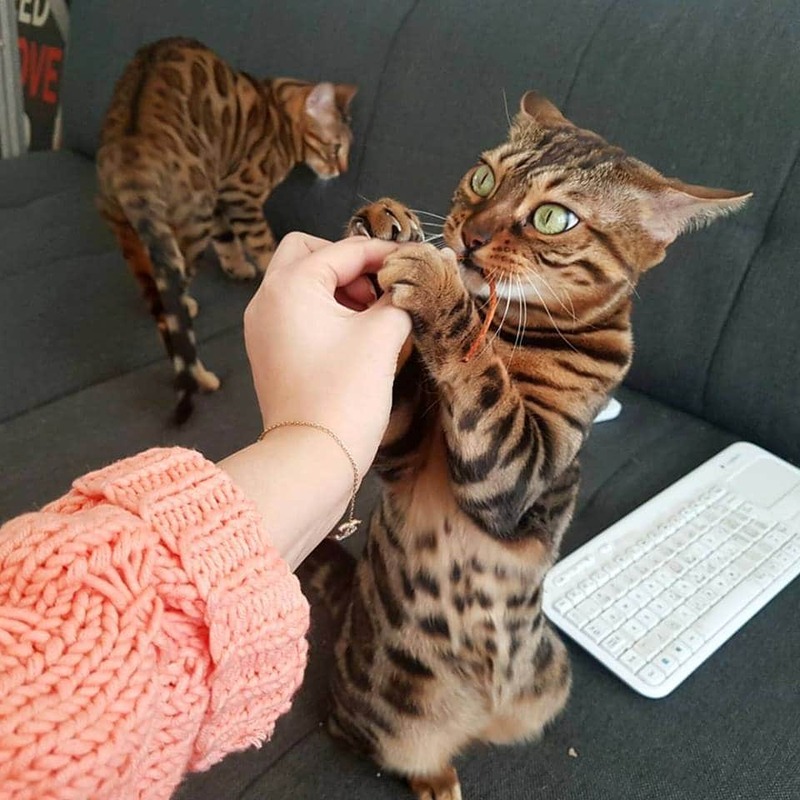 ACFA has accepted the registration of these cats, but doesn’t allow them to participate in cat shows as they are not very sure of their temperament, which includes aggression towards other animals in the show. The Bengal cat is famous for their soft, short and luxurious coat. The coat can appear in spotted that resembles a leopard as well as in marble pattern. Some cats have a golden shine on their coat, which gives a good shine for their hair. 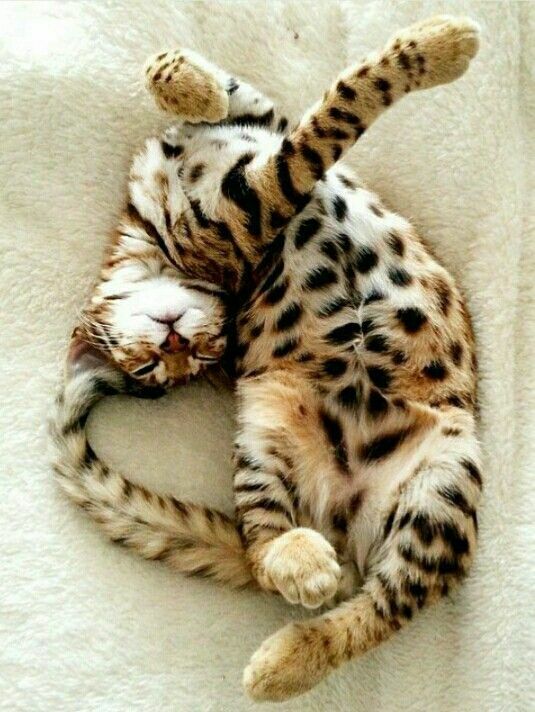 The spotted pattern cats can have spots that can be small or large, which can be sometimes two toned. 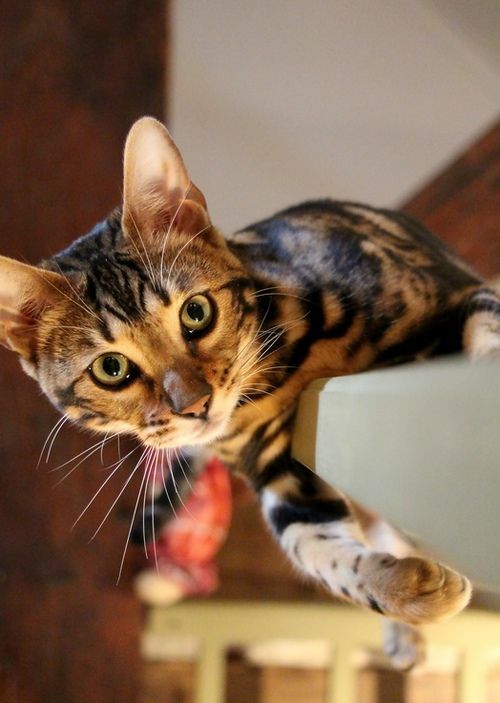 The marble pattern is a variation of the classic pattern that is found in cats of different breeds, but when this type of pattern appears on a Bengal the whole look of this cat changes drastically. 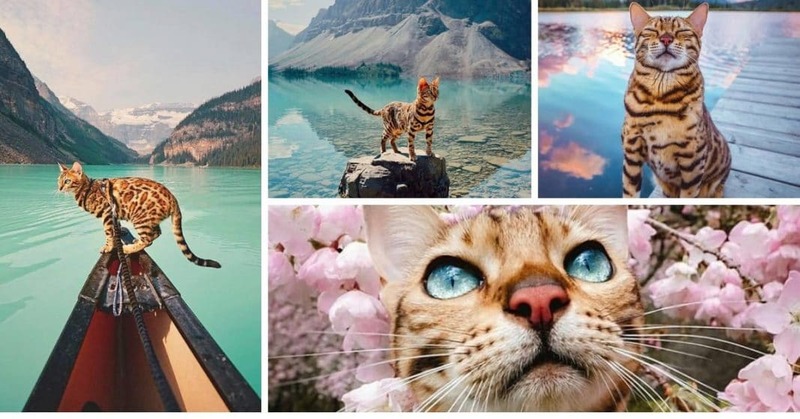 The color of the coat ranges from black or brown tabby, cool grey, bronze copper, golden, mahogany with spots, and also marble pattern with rich brown and dark black shades. These cat breeds are medium to large sized weighing in the range of 6 to 15 pounds with males larger than females. These cats have maximum height of 16 inches. The muscles are well toned giving the whole cat an athletic frame. The eyes are almond shaped and black rimmed. The tail is thick and has a black tip. They have a white belly with spots. The hind legs of this cat are longer than the front legs and the feet are oval and large. The head is broad and ears are small. The whisker pad is very prominent. 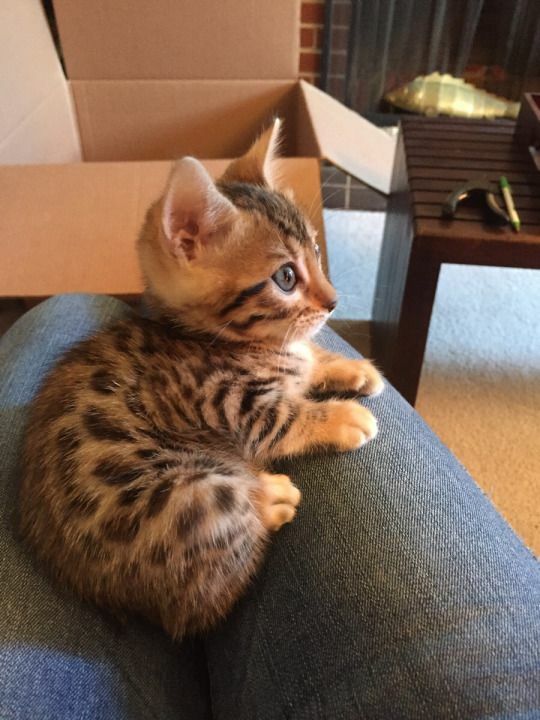 A good show variety Bengal cat can cost $2000. 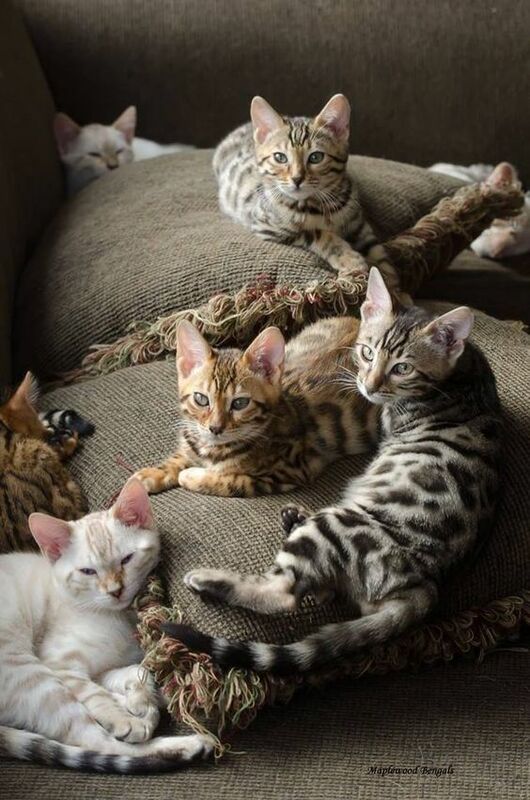 The Bengal cats are friendly, energetic, active and intelligent breeds. 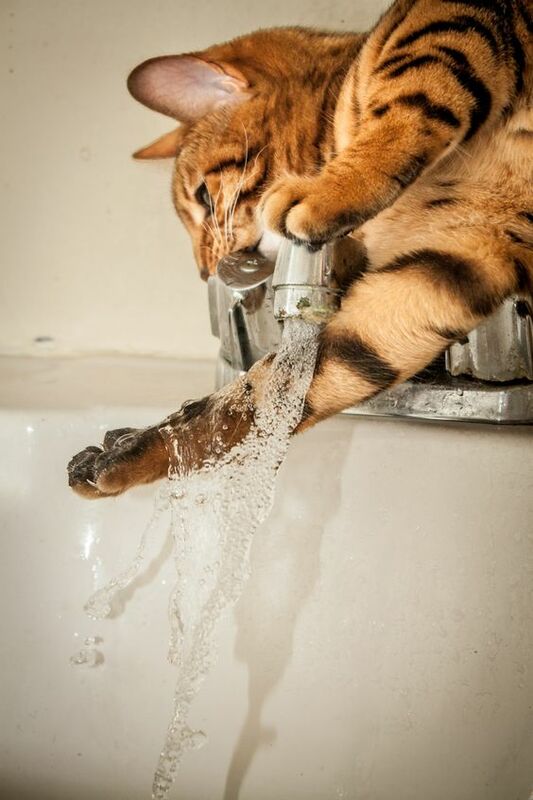 Due to their wild cat ancestry these cats have a good affinity towards water. These cats are agile, climb over things and show their feelings through vocalizations. The wild cat gene is responsible for these cats to climb trees and tall cupboards with ease. 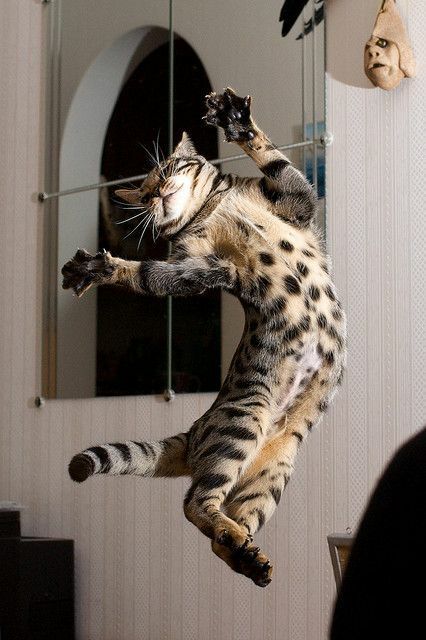 High levels of energy are the other name for the Bengal cats. Bengals do suffer from some hereditary diseases like polycystic kidney disease, and suffer a lot from diarrhea. Their short and silky coat is easy to care and requires brushing once a week to remove any loose hair. The average life expectancy of these cats is 12 to 16 years. Bengals require high amounts of Taurine and this is found only in meat. Dry and canned food will not meet the feeding requirements of this cat breed and hence it is necessary to feed them raw meat daily. Bengals like to run, jump, pounce and race very similar to wild cats. If you want your cat to lie on the floor quietly, then Bengal is not for you. They are affectionate and can be a lap cat sometimes, but since they have the wild cat genes in them it is difficult to predict their nature. When they are in a playful mode, then it is difficult to control their energy. They are very vocal and like to play in water unlike other cats. They can be trained to walk on the leash, and use toilets. 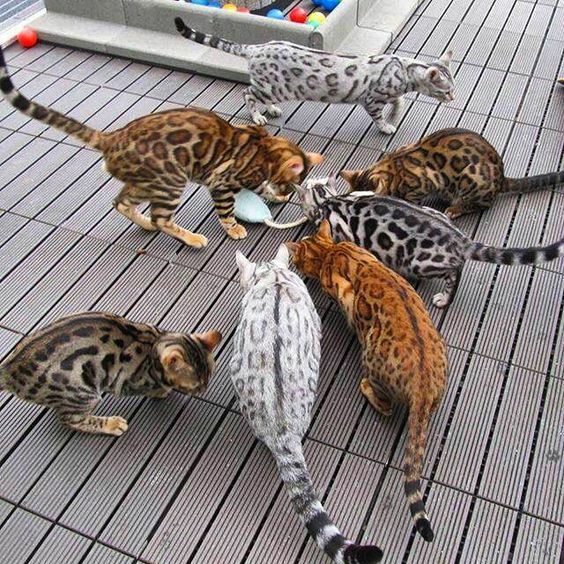 Bengals are social and outgoing cats. 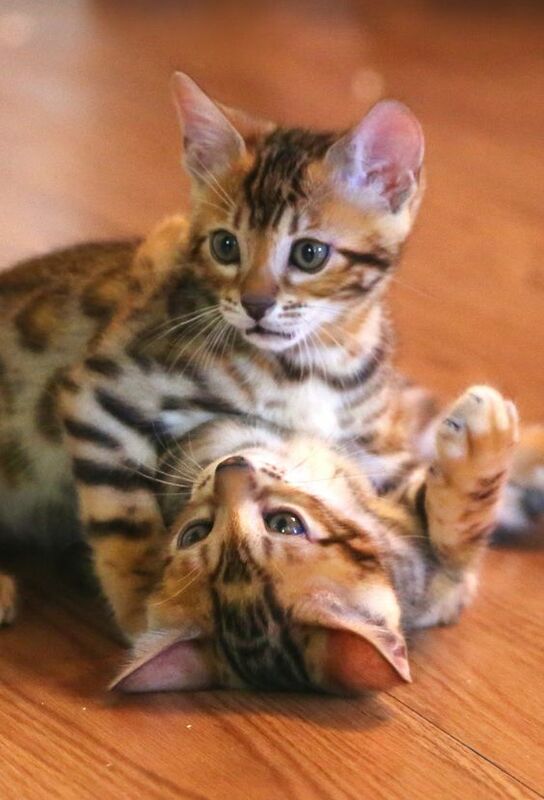 Bengals can get along well with children, but due to their high energy levels they can be unpredictable at times. Generally their behavior with children is always gentle and is not known to attack or bite them even when provoked. They enjoy the company of other pets like dogs, large birds and other cats. It is better not to get these cats if you have rodents, lizards and small birds as pets as they may tend to eat them up. Bengal is an elegant feline that loves, friendly and highly energetic. It is better to get a cat with some basic training on how to behave in your home.